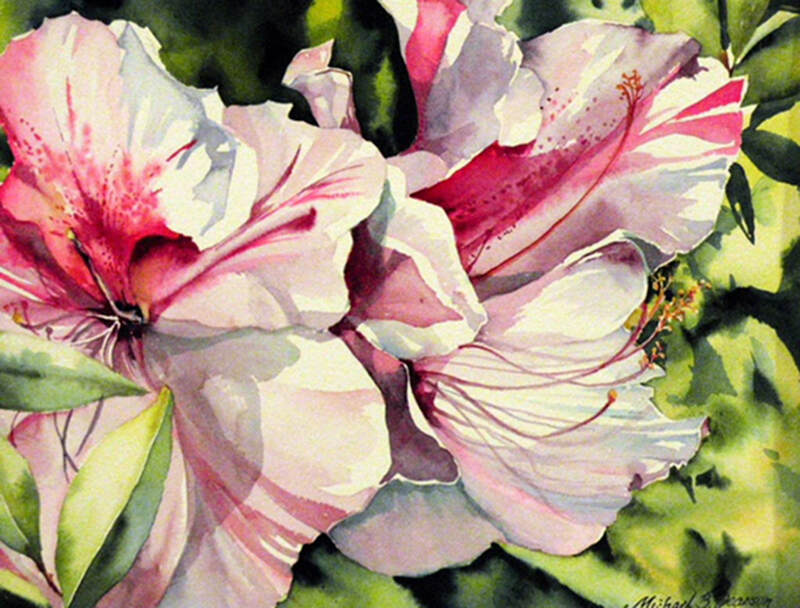 Michael will be teaching the techniques of painting captivating watercolor florals. Who doesn’t love flowers? They color our lives; take our breath away with their beauty and light up our senses. 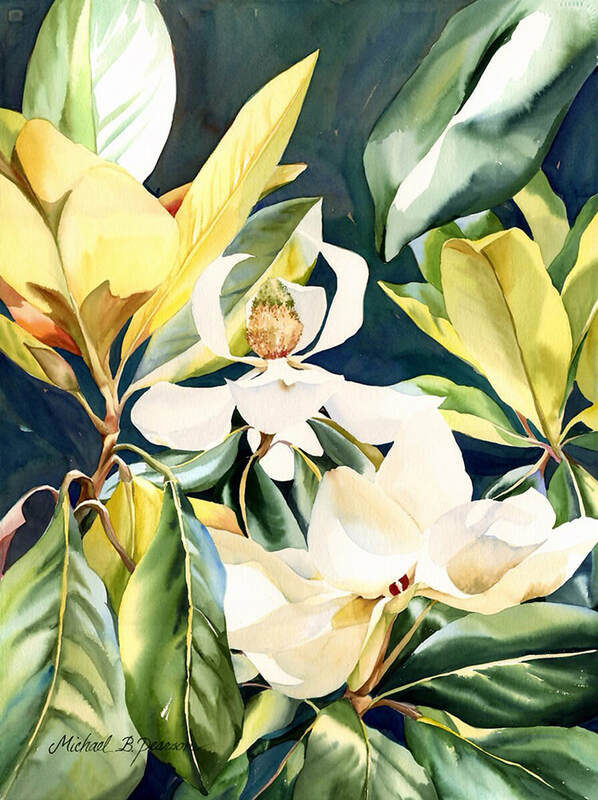 It’s as though transparent watercolor was made to capture the translucency of their petals. 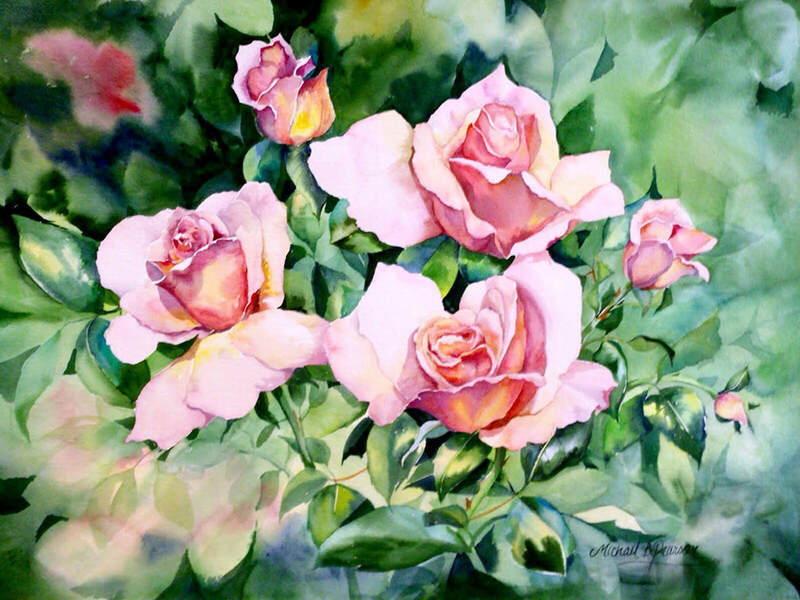 In this workshop Michael will take you on a journey to rediscover flowers with watercolor. Each day will be a new challenge beginning with a demo. We will learn how to construct our subjects through shapes and composition. Following that, we’ll be laying in loose juicy paint and create enhanced backgrounds of wet into wet negative painting. Michael loves color. Learning color frees an artist’s creativity so we will be including some color mixing in our lessons. She will help you explore what she calls “tricks of the trade” using masking, salt, sponging and glazing techniques. With an infinite variety of flowers, we will touch on the cluster shapes of hydrangeas, the delicacy of azalea blossoms, vines of bougainvillea and textural bobbing heads of sunflowers just to name a few. 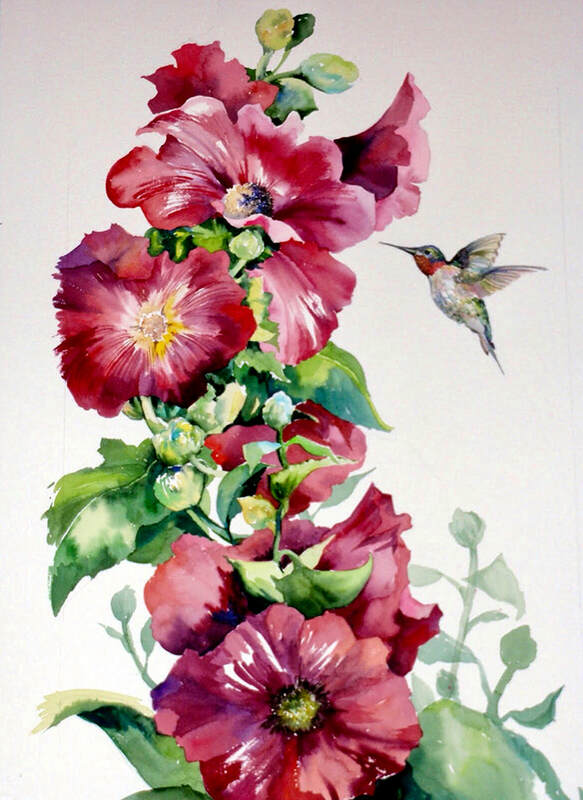 Perhaps you have a favorite you’d like to learn how to paint? There will be lots of individual assistance. The goal is for you to learn, work, have fun and leave with the skills to be a better painter. 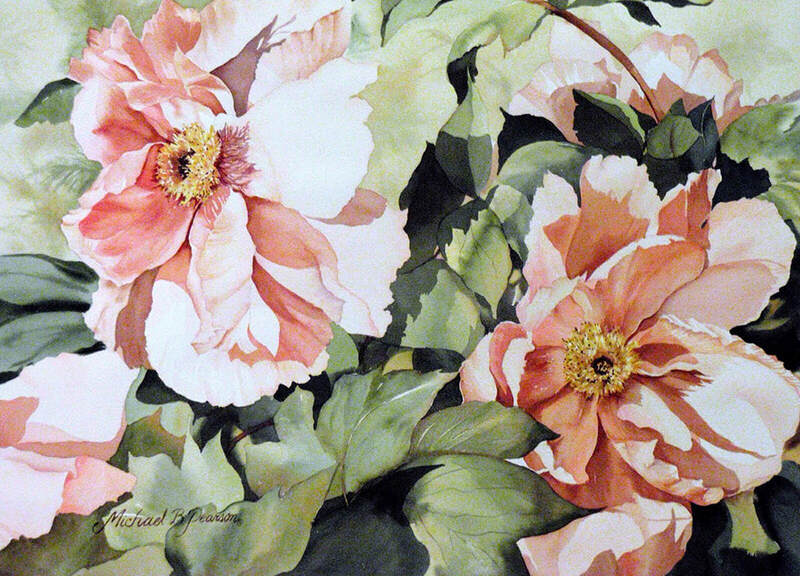 While Michael works in other mediums including pen & ink and acrylics, watercolor is her favorite. She studied in NYC and is a graduate of The Art Institute of Pittsburgh in Fashion Illustration. 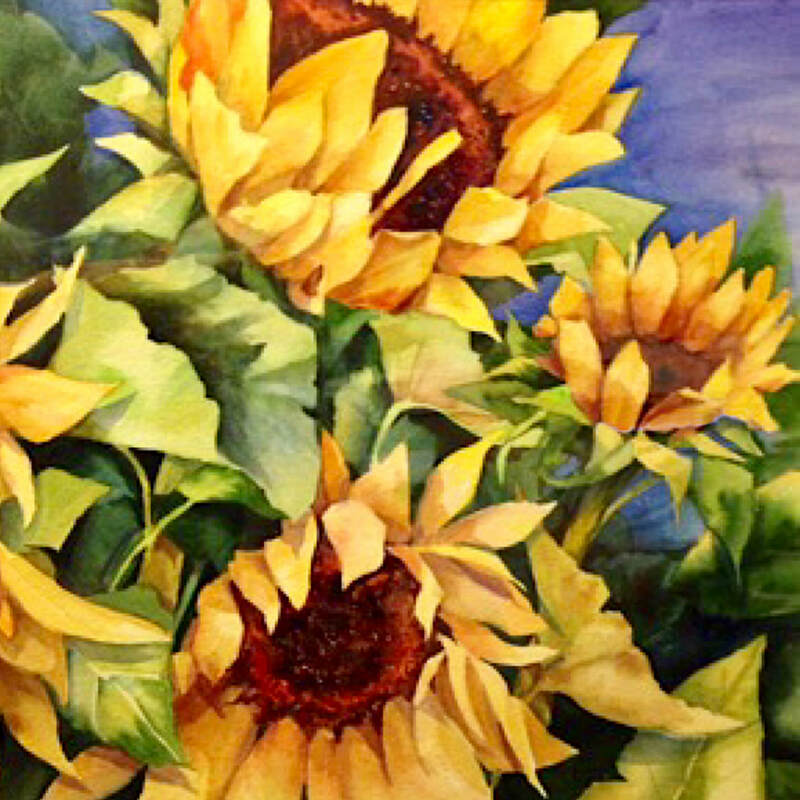 After over a decade in commercial advertising, she made the switch to fine arts. Having been trained in washes, watercolor seemed a natural calling. It turned out to be “love at first stroke”. 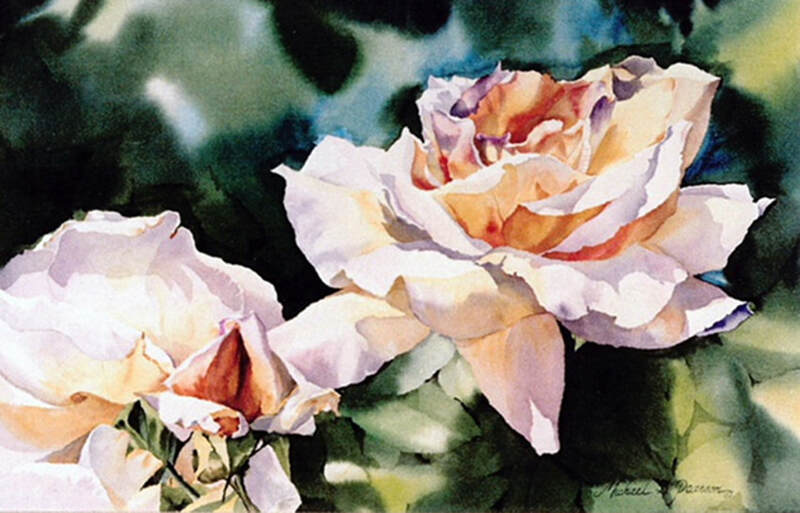 She has worked primarily in Watercolor for four decades having over 45 solo exhibitions as well as juried and group shows in which she has won numerous awards. 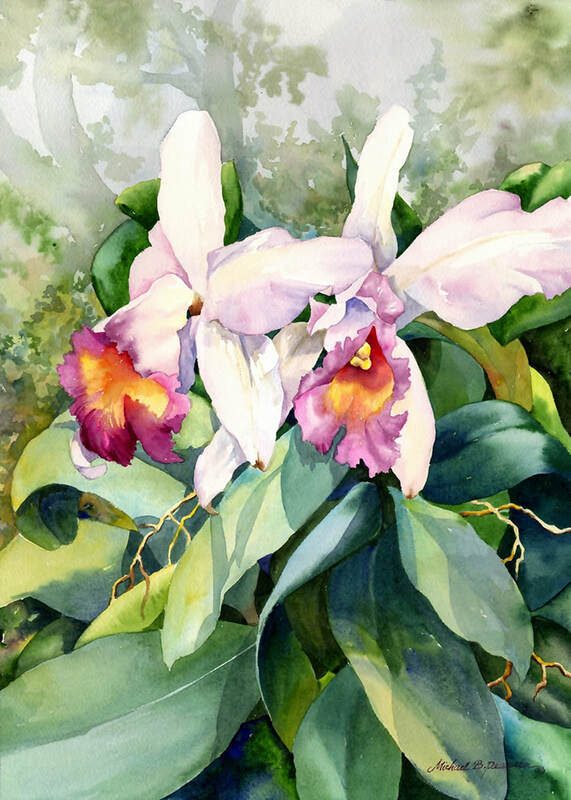 She owned her own gallery for 8 ½ years in downtown Augusta, GA. Michael has generously shared her joy of painting through teaching for over 25 years, serving as President for both Hawaii and Georgia’s watercolor societies, and presently, as Regional Director for South Carolina’s Watermedia Society. Still keeping a hand in the commercial field and believing artists can do anything, she has illustrated covers for two recent books. 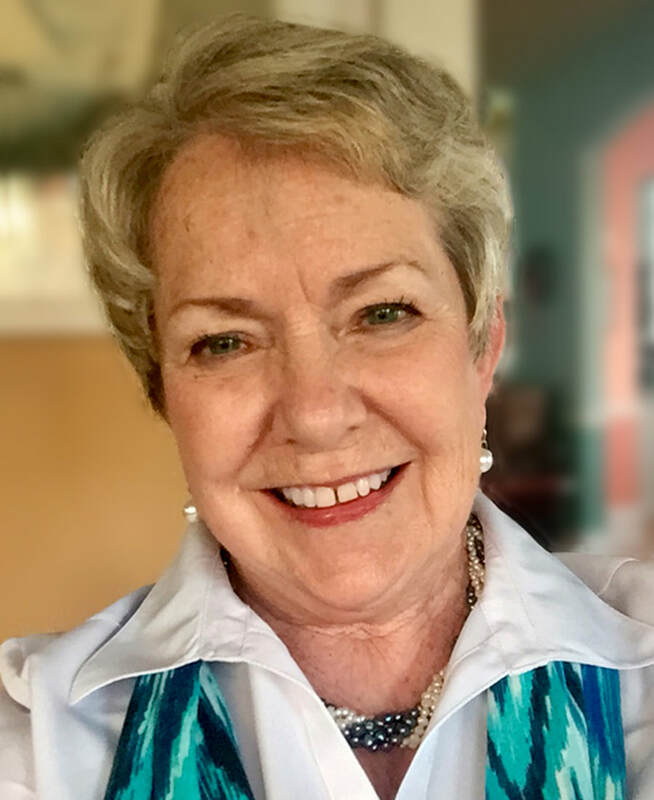 Her latest accomplishments include being the commissioned design artist for a 22’ granite monument installed at The National Infantry Museum and a smaller one for the All Airborne Chapter at the Beaufort National Cemetery. She is presently in the early design phase of another large one for The Walk of Honor also to be installed at the National Infantry Museum.